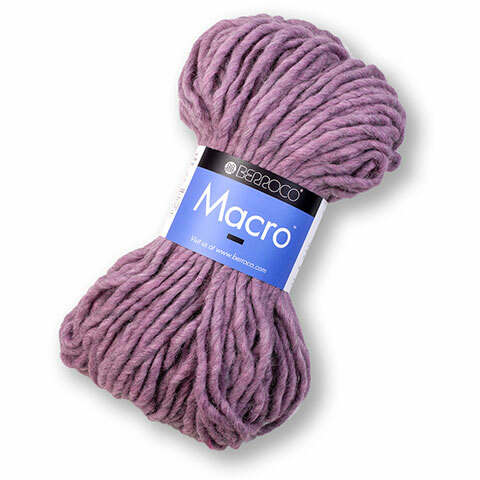 MACRO – super bulky yarn for instant accessories! “Hana”, a cozy triangular shaped scarf that is knit side to side. 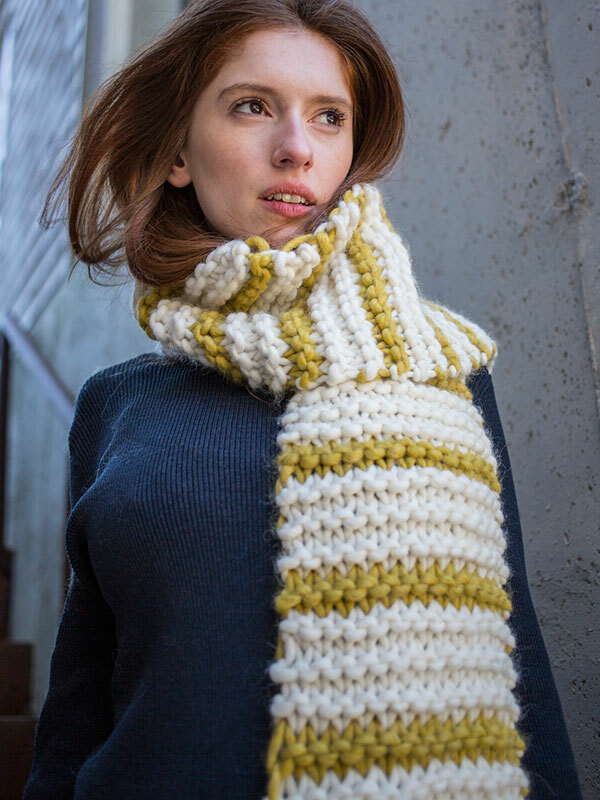 “Dai”, an easy scarf knit lengthwise that combines colors. 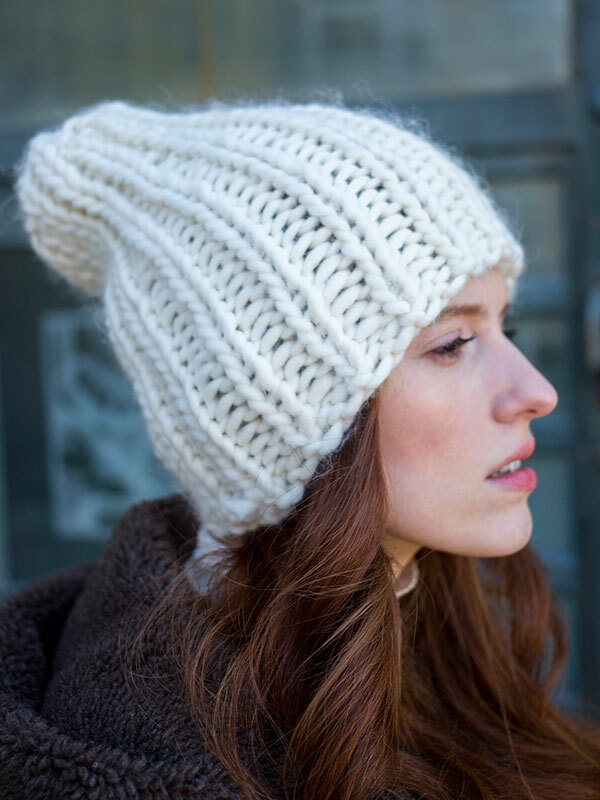 “Miyo”, this classic ribbed hat knits up in one sitting. 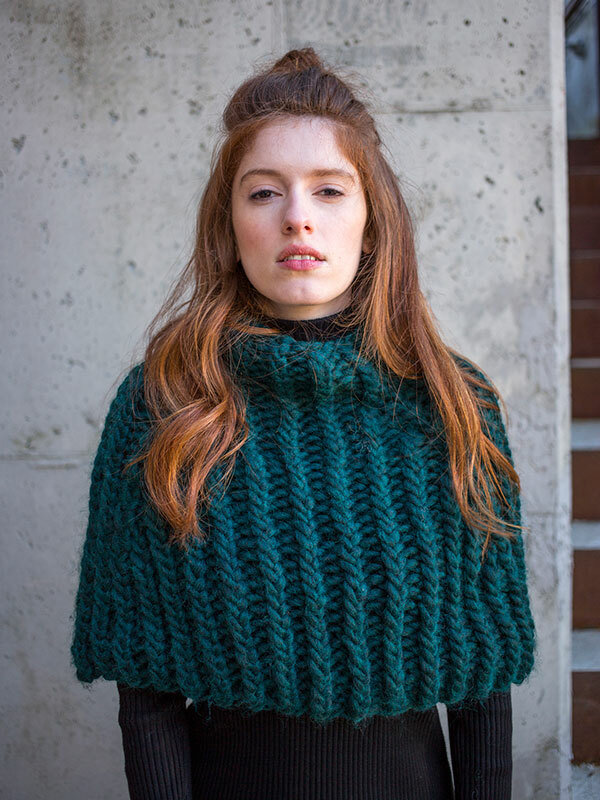 “Rini”, twisted rib forms the body of this capelet, knit in the round from the bottom up. 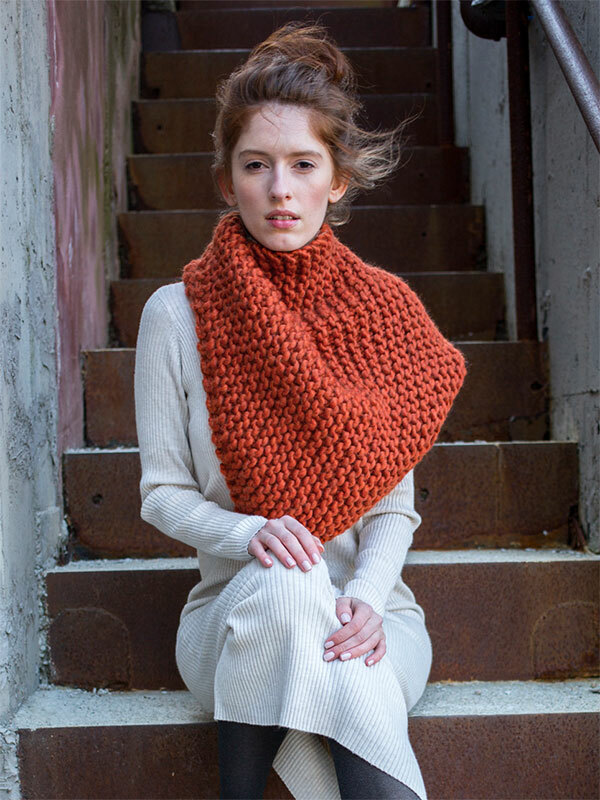 “Ima”, A simple rib shows off these jumbo stitches in a quick cowl that’s knit in the round. 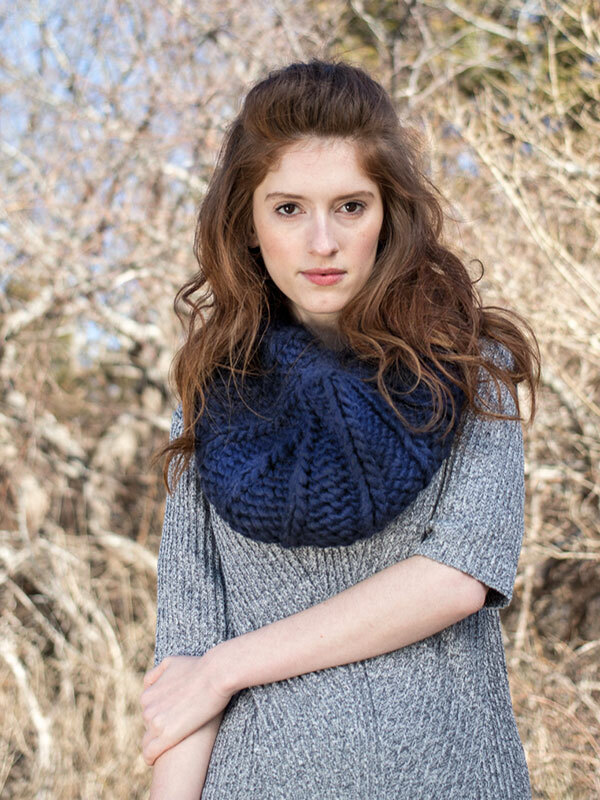 “Keiko”, Wrap up in a comfy scarf knit in two colors. 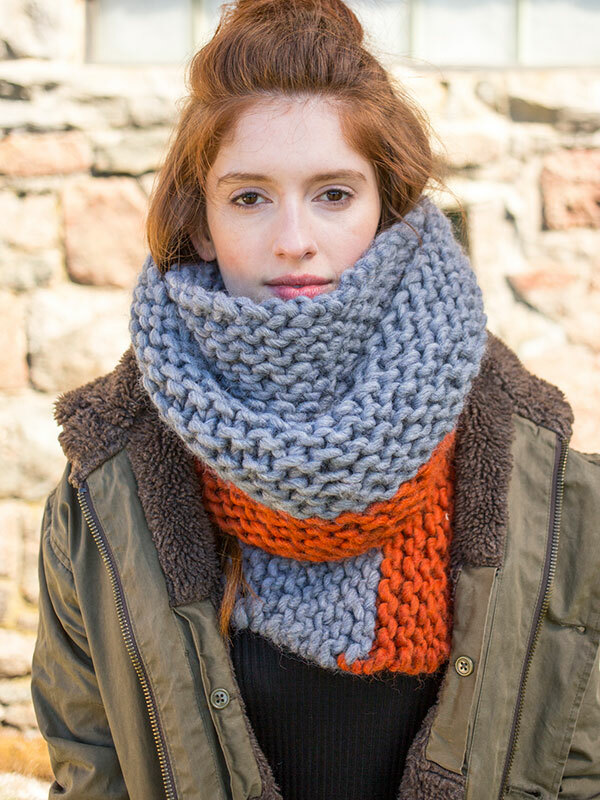 Perfect for beginners, this scarf knits up quickly in garter stitch. 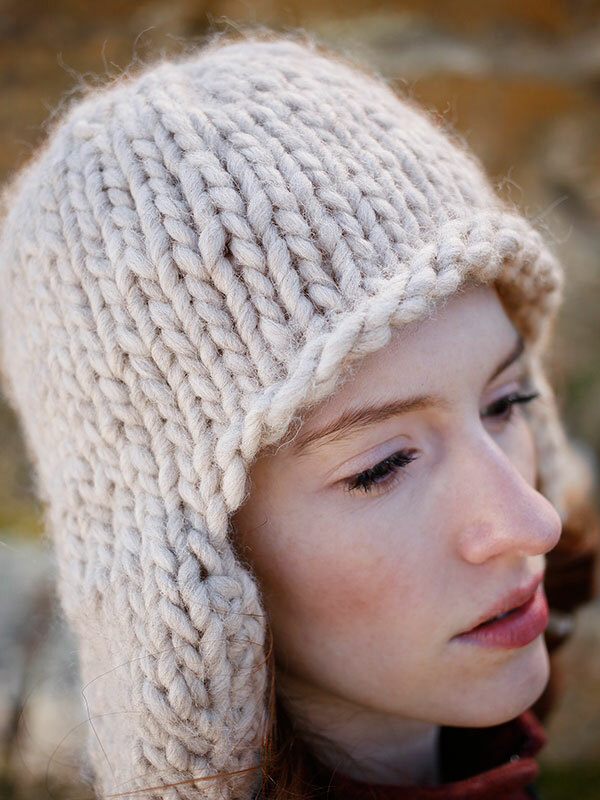 “Zoya”, everyone will want this chunky earflap hat. Find all of these patterns and yarns in the shop. Our friends at Berroco have given us a trunk show of all of these items, so you can check them out in person.